How to Find and Contact Former Employees Easily? A study undertaken by Accenture indicated that nearly 54% of United States business employees were laid off in the last 2 years. Now that the economy is recovering and things are looking up, companies have to fill up the important positions once again and are looking for skilled professionals. Thus a study undertaken by Career Builders indicated that 26% of employees who had been laid off in the last few years are being recruited back by their old company. Anne Berkowitch the CEO of SelectMinds is of the opinion that, when you network and hire back former employees, you are saving your company’s recruitment cost. Also today most companies are more open to the idea than they were 10 years ago. Therefore we have analyzed below the different methods which can be used to contact various former employees. How to Find Former Employees Using Internet? If you ever study a company’s website you would notice the detailed information that you can read regarding various management teams and also regarding senior management and board of director’s profiles. These websites in the “Press & Media” section also have various press releases of important key people of the company. On a closer introspection you might locate your former employee details there and contact him immediately. If you are looking to get a good former employee back, do search his details in the list of archive.org. Here you need to find the current company page and then look in for details of the employee. When you undertake the search in a systematic manner, you would be amazed at the large number of former employees you would dig up in just a matter of few minutes. In case you are unable to track a former employee for some time, you should look into the online professional organizations of a specific domain. Here you can read through various activities in the current bulletin and would certainly come across details of the former employee who you have been hunting for some time. A good employee is always on the lookout for challenging opportunities. Thus if you have an in house recruitment cells you can use the resume database and search for the resume of the former employee. If he is looking for change then you have hit the jackpot and can contact him ASAP. Before you undertake the project to search for a former employee, you have to check the current settings of your LinkedIn account. It would be best to set your settings to private and then start looking for the former employee details. Also you can Google the person’s name in the search engine and then you might get a vital LinkedIn link which would help you to retrieve data substantially. You can search for former employees by using the support of public records like Corporate and SEC filings. When looking into 10Q and 8-K reports you would come across great details regarding the life and work of important management personnel’s. These personnel’s could be your important former employees who could be contacted and a discussion can be undertaken regarding his rehire status. One of the ingenious methods that you can use to get a former employee is to offer an incentive to a current employer who has located the employee for you and brought him back to the system. Nothing motivates like money and very soon you would have eager workers using their networks and helping you to get the best of the former employees back into your business system in no time. This would be a win-win situation for you. When you lay off a good employee, there is a high chance that he would be swapped up by your competitor. Thus when you are planning to rehire them, look into your competitors company and you would be surprised with the number of former employees present there. But you have to understand a fact here that currently they might be happy with their jobs and thus you have to motivate them to join you back. 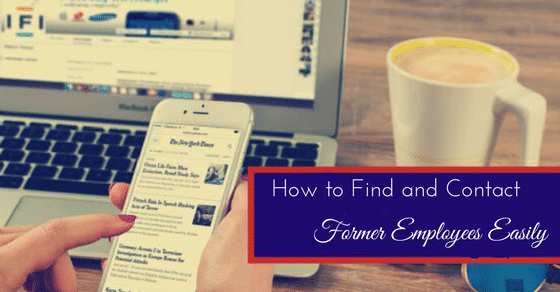 What do you do once you find your former employees? Does your former employee have the relevant skill and education needed to make him competent for the vacant position? Has he grown in terms of managing his responsibility and willing to grow again in the organization? Sometimes he might have grown much more than what is needed from him. He should be willing to adjust to the new position being offered. After an employee has left an organization for a few years, he might have problems in adjusting with his colleagues when he is rehired back. Thus during the interview process you have to access how compatible is he and what value would he add to the organization. Another problem that you might face when rehiring a former employee is that the employee might take this opportunity as an in-between job before a lucrative job comes his way. Thus you have to judge his attitude and also discuss his objectives of getting back to the old company. Finally the former employee might draw a large compensation package which cannot be offered by your company now. But he is very much needed back in the company. Here you need to have an open discussion regarding this with him and realistically outline what you can offer. Claudio Fernadez Araoz a management expert at Egon Zehnder International explains that, when recruiting former employees it is mandatory that you explain why are you hiring former employees to the rest of the company and also discuss with the former employee regarding the current status of the company and what are his expectations. Otherwise things might go wrong both ways and this could create unnecessary hassles which could have been best avoided at all cost. The above discussed methods have proved valuable to many companies and they have greatly benefited from using it. You can also use it and get back your former employees into your company’s system again and they would then empower your company’s impetus growth once again. Previous articleHow to Prepare for a Technical Phone Interview? Next articleHow to Prepare for a Behavior Based Interview?